Thank You to All Supporters of the Ancient Forest Alliance! The Ancient Forest Alliance (AFA) was thrilled to grow our support base in 2017 to include a diversity of local businesses, artists, and organizations. The support and generosity of these businesses and individuals has been fundamental in our work to protect BC's endangered old-growth forests and ensure a sustainable second-growth forest industry. We would like to send a special thank you to everyone who supported our work this past year! 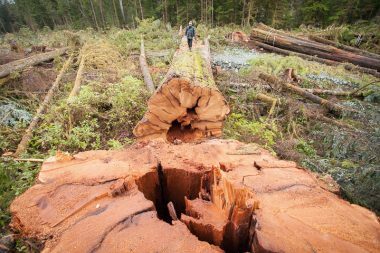 Here's an article about the Union of BC Municipalities' fantastic resolution calling on the province to amend the old Vancouver Island Land Use Plan to protect the remaining old-growth forests. 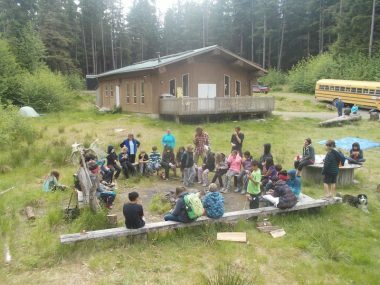 Here is a media release and action alert from the Mount Moresby Adventure Camp on Haida Gwaii, where a forest that is central as a learning centre for the children and youth of Haida Gwaii is threatened by planned logging by TimberWest (whose managing agent for their Forestry Licence there is Teal-Jones). 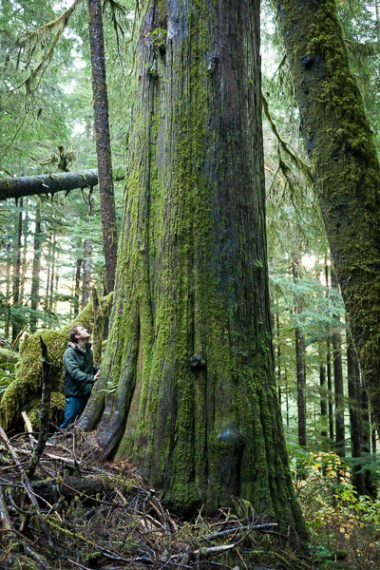 Port Renfrew, British Columbia – One of Canada’s most iconic and grandest old-growth temperate rainforests is under threat as signs of potential logging have been discovered in the heart of the Upper Walbran Valley on Vancouver Island. 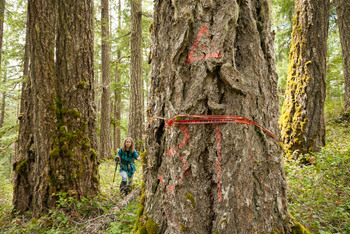 Ancient Forest Alliance (AFA) activists TJ Watt and Jackie Korn recently documented survey tape marked “Falling Boundary” and “Road Location” in the Central Walbran Ancient Forest, one of the last, largely-intact sections of the unprotected portion of the valley. Avatar Grove Boardwalk: Preliminary Phase Complete – THANK YOU SO MUCH! 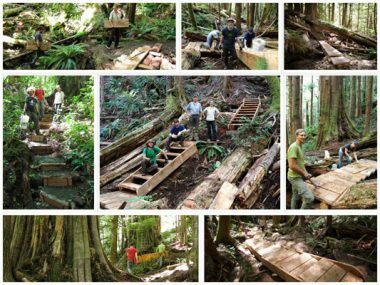 THANKS to your support, we've raised over $12,000 in 2014 so far and have now completed the basic, preliminary phase of the boardwalk, including including vital bridges, steps, tree-viewing platforms, and walkways over several sensitive, steep, slippery and wet sections. This is an incredible improvement from before and one that has been enjoyed by thousands of people already from all across the world. If you've yet to visit the grove since the work began, now's a great time to do so! Funding Still Needed for 2015 Upgrades..
"TFLs have always enabled monopolistic corporate control of our public forests and, over the long term, have not maintained the public benefits that were promised when they were awarded. 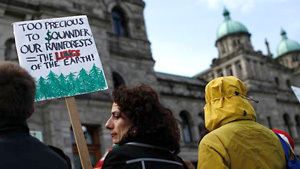 The sorry state of BC’s coastal forests and coastal forest industry, where the majority of current TFLs exist, provides all the evidence needed to reject the creation of any more TFLs…"
Juniper Ridge is an increasingly rare tract of old-growth forest filled with endangered old-growth Douglas-fir trees, sensitive ecosystems of brittle reindeer lichens growing on open rocky outcrops, and an abundance of juniper shrubs. 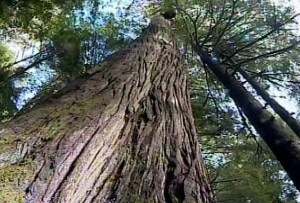 British Columbia is the last place in Canada where you can still find ancient, monumental trees standing outside parks. We are not talking here just about big, old trees, but about trees 250 to 1,000 years old, that tower 70 metres in height. If one grew on the steps of Parliament, its tip would block out the clock face on the Peace Tower. And set down in Vancouver, they would be as tall as many office towers.